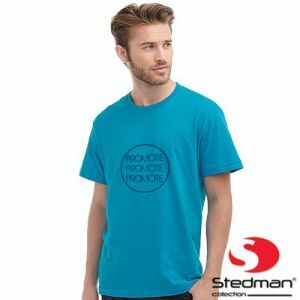 With the majority of working people in the UK sitting at a desk between four and nine hours a day, it's only logical to ensure those desks carry your company brand for maximised exposure day in and day out. 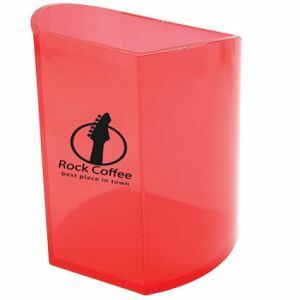 Promotional pen pots are great for keeping desks tidy, organising potentially other branding stationery, while easily displaying your logo to staff or customers. 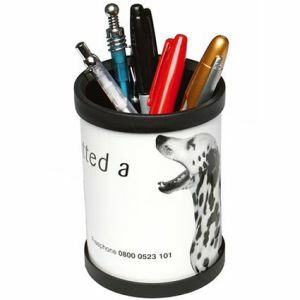 Available in a wide choice of styles and materials, there’s a printed pen pot to suit your business or identity, everything from a budget pen holder to executive desk tidy. 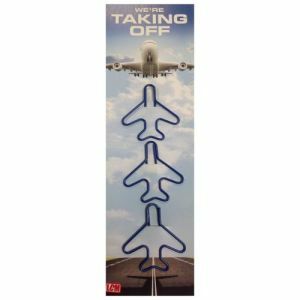 To help further in organising the desks of your clients or staff, we also offer bespoke and personalised jumbo paperclips to help get paperwork back under control while advertising your marketing campaign simultaneously. 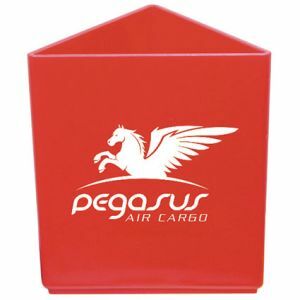 Whether you have multiple desks in your office, a cluttered reception or trade counter, branded pen pots can help get everyone organised and advertising your corporate brand. 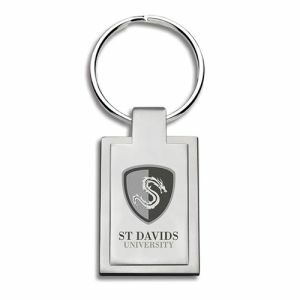 Need to encourage recycling as part of your business message? 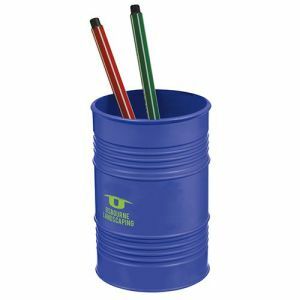 You won’t be throwing money away with a branded Wheelie Bin Pen Pot with your logo printed to three sides showing how much you care about the environment by promoting your recycling, shredding, rubbish clearance, hazardous waste disposal, environmental services and more. 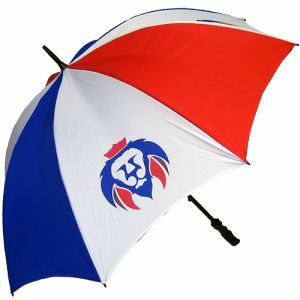 Perfect for campaigns related to local councils or the household. 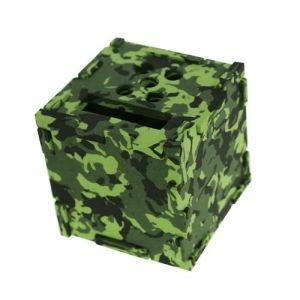 If your business or customers are involved with the Army, security or outdoor pursuits then personalised Camouflage Foam Cube Desk Tidies or pen pots could be what you’re looking for, offering great organisation with a unique twist at a great low price. 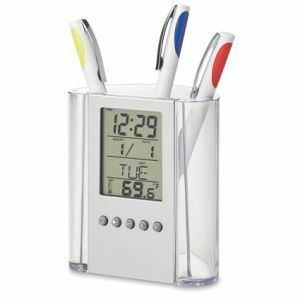 One of our favourite products is the full colour printed Desk Pen Pot. 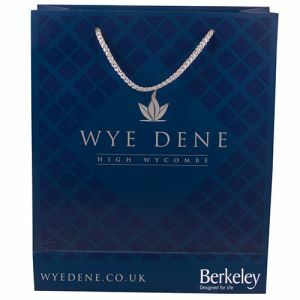 Supplied flat packed, this is ideal for low cost mailings and can be printed with high resolution photography or complex/detailed designs, making it a real stand out on any desk as part of a marketing campaign. 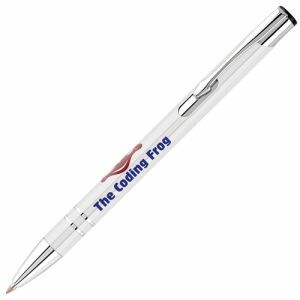 And with simple printed instructions for puting the pen pot together, recipients will be actively engaging with your brand right from the start. Did you know the branded Rubik’s Cube was invented in 1974 by Hungarian sculptor and professor of architecture Ern? Rubik? 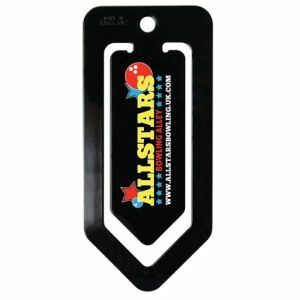 They have been a retro, fun novelty giveaway for decades and are still going strong. 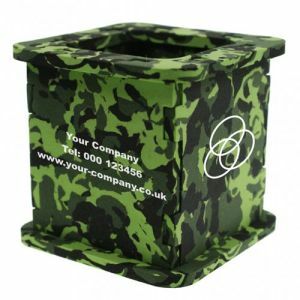 Perfect for keeping clients occupied or helping to reduce their stress with an ingenious Rubiks Pen Pot; promotional Rubiks pen pots are printed with your messaging on four sides and include a tactile twist action, combining something practical with a fun talking point to keep your brand at the heart of office life. 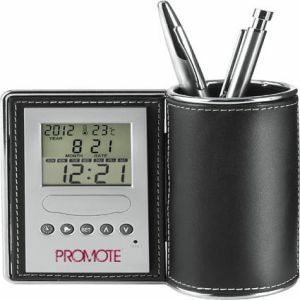 There’s no need to “clock watch” when you’ve got a promotional pen pot or desk tidy with integral clock; our low cost LCD Prodigy Pen Pots or executive style desk tidy clocks include a multi-function alarm clock, keep a selection of pens handy and proudly display your logo in one neat and tidy desk solution. 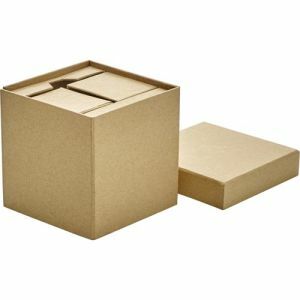 For an eco-friendly answer to desk tidies, try our promotional Cardboard Desk Sets with slots for pens, business cards and compartments filled with sticky notes. 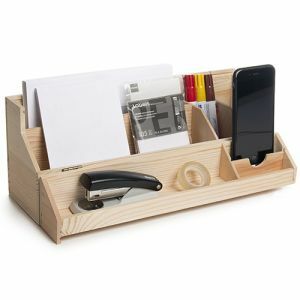 These are a great way to tidy desks and get organised without adding more plastic to your desk. 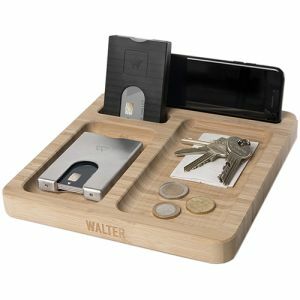 If you’re looking for an corporate executive gift or higher value solution, our engraved Bamboo Desk Tidies look great and feel great as they’re manufactured from FSC certified bamboo. 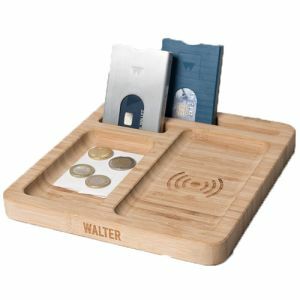 Upgrade to a personalised bamboo wireless charging desk tidy engraved with your logo and help customers stay fully charged via the integrated wireless charging pad. 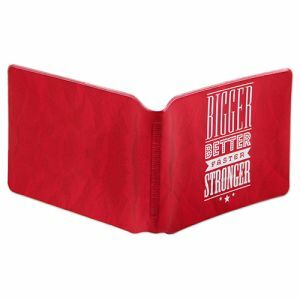 Alternatively, at the other end of the budget scale, we have a range for standard shape, bespoke shape and printed jumbo paper clips to help keep paperwork organised and your brand on prime display throughout your work day, all without breaking the bank. 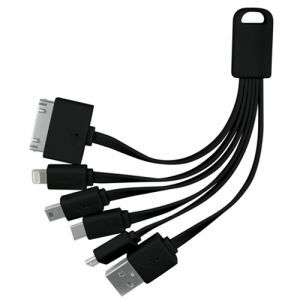 Practical, low cost and perfect for every desk.